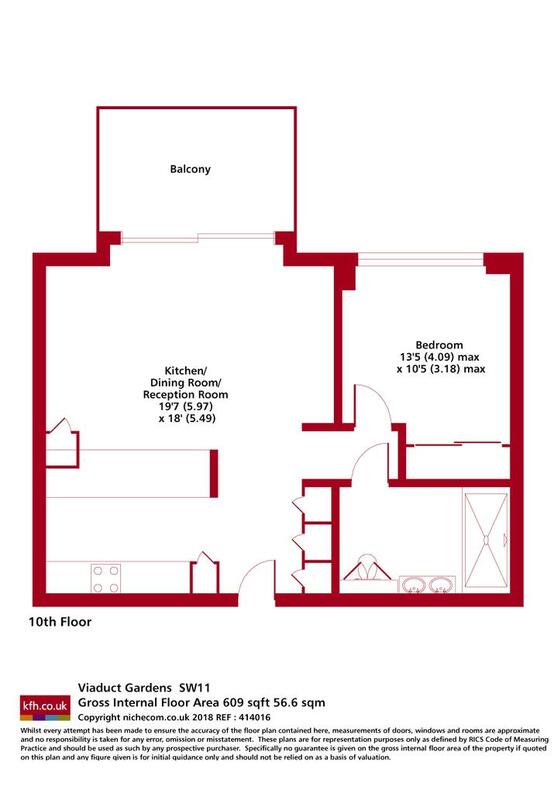 A magnificent 10th floor apartment with a large, private balcony, set within the prestigious Embassy Gardens development and located within easy reach of Vauxhall Station. 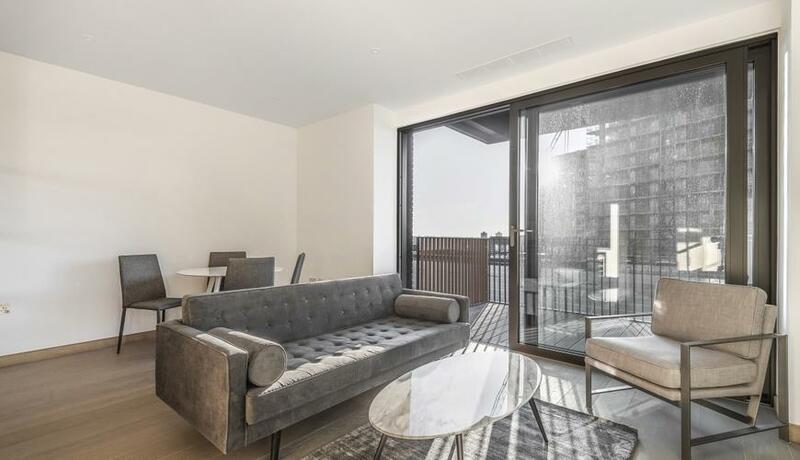 Located within the popular Embassy Gardens development in Nine Elms, this superb 10th floor apartment offers fantastic views overlooking the soon-to-be developed Sky Pool. Presented in immaculate condition, it offers a large reception with an open-plan, fully-integrated kitchen with wine cooler, as well as access to a large, private balcony. There is a also a spacious bedroom with fitted wardrobes and a luxury bathroom with a double shower and washbasin. Embassy Gardens additionally benefits from 24 hour concierge and on site gym, pool and spa facilities. Discover what it's really like to live in Nine Elms with information including local amenities, architecture, outdoor space, transport and local schools.